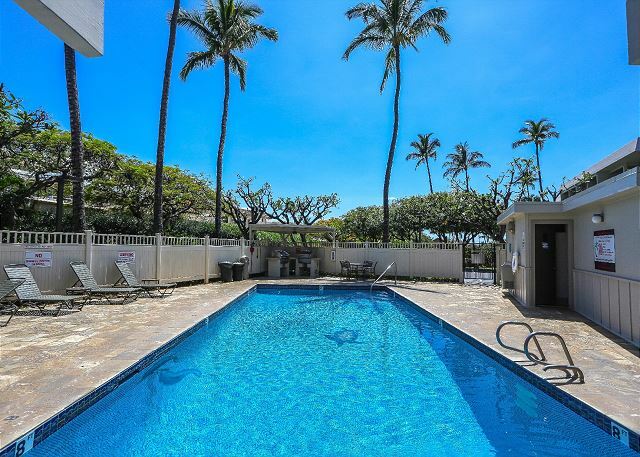 This breezy second floor condo has a private lanai with traditional Hawaiian decor in this beautiful unit. Brand new flooring and furniture in the bedroom. This highly preferred complex boasts lush, manicured tropical gardens, two swimming pools, a tennis court and several BBQs for guests to use. 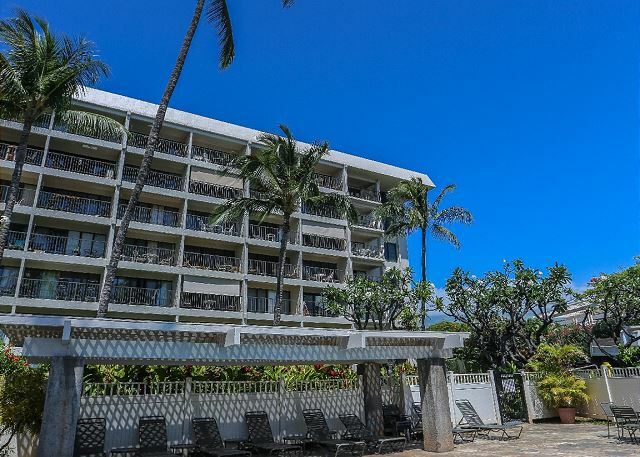 Kihei Akahi offers easy access to all of South Kihei's treasures! **The complex charges a $15 service fee at time of check in. We are always available via email or phone. We have Housekeeping on call; additional cleaning could be arranged at a fee, generally our long stay guests take advantage of this service. Our Maintenance crew is on call and can assist at any time. Check-in and Check-out are very simple. We send you a pre-arrival email that has all necessary information on how to get to the condo, what the electronic door lock code is, etc. We recommend you print the email prior to the trip or saving it on your smart phone to easily access it when you arrive at the complex. A private Concierge is always standing by to help with any activity bookings, island recommendations and restaurant reservations. 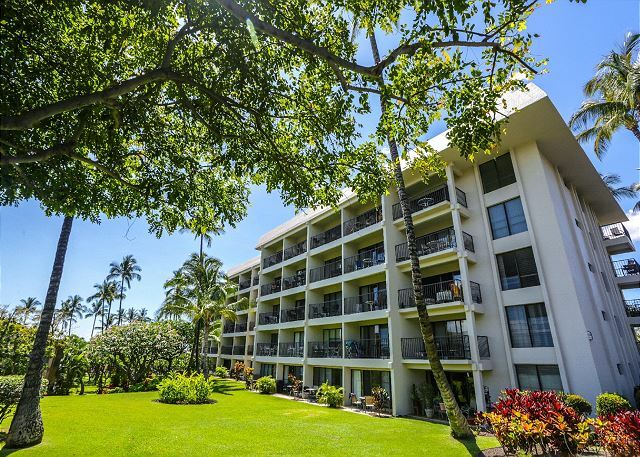 Kihei Akahi is located directly across from one of Maui's best beaches, Kamaole II. 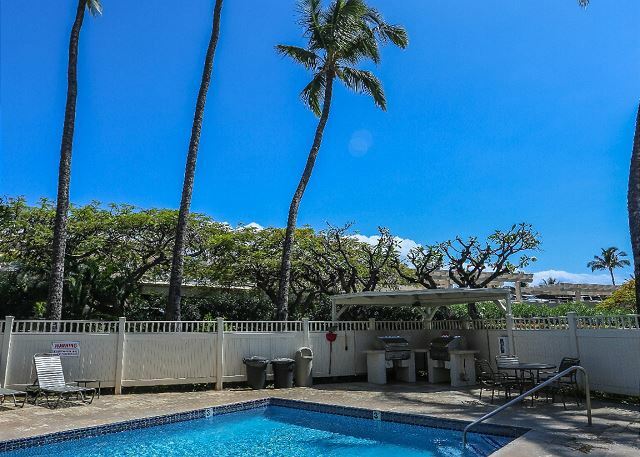 It is within walking distance of the Kihei Boat Ramp (a great place to experiences various water activities), restaurants, shops, farmers markets and more. Maui’s unique and varied terrain offers a multitude of activities. From relaxing on some of the world’s most beautiful white sand beaches to the more adventurous undertakings of zip-lining and paragliding. 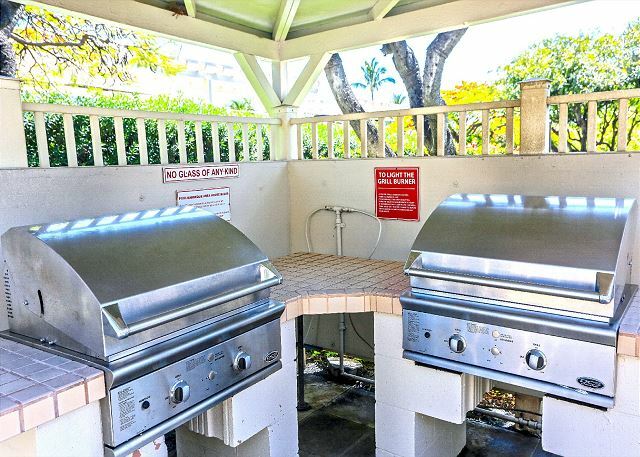 Kihei Akahi's location is such that there are many activities and attractions right at your finger tips. Some of Maui’s top attractions are: Maalaea Harbor; many boats leave from Maalaea on snorkeling trips, deep sea fishing, scuba diving, whale watching (in season), sunset cruises, and more. It is much faster to leave from Maalaea Harbor than Lahaina Harbor when taking trips to Molokini Crater and Turtle Town. Other attractions include Maui Ocean Center, Haleakala Volcano, Shops at Wailea, Iao Valley, Wailea Golf Club, King Kamehameha Golf Club, Maui Tropical Plantation, and the Whale Sanctuary. The town of Kihei is a quant, laid-back beach town boasting some of Maui’s most pristine stretches of white sand and turquoise waters. South Maui is fun for couples and families alike. You can find anything you need in Kihei from local favorites such as Coconuts Fish Cafe to the fine dining of Sarento’s. There are several shopping areas with familiar grocery stores such as Safeway and others with local markets like Hawaiian Moons Natural Foods. Maui’s south side offers calm ocean conditions making it great for swimming, boogie boarding, stand up paddle boarding, snorkeling, scuba diving, sailing, tide pooling, surfing, windsurfing, kite surfing, and whale watching (in season). Kihei is only a 20 minute commute from the Maui airport and is the perfect location if you want to explore the island. Centrally located, accessing any part of Maui is easy from Kihei. I always recommend renting a car. We have access to better rates with AVIS and BUDGET, please contact me so I can assist you with booking. 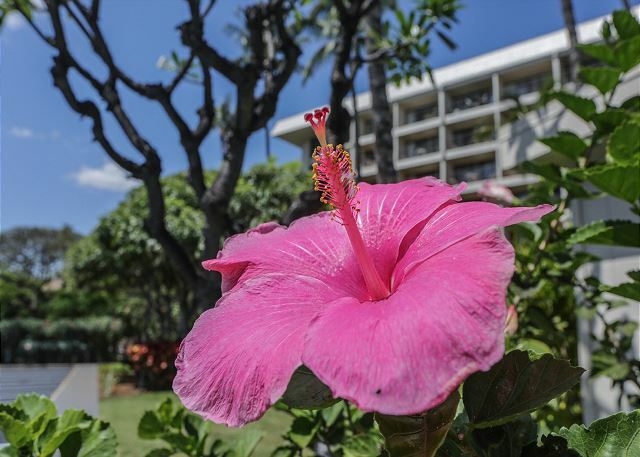 Rooms Sleeps 4, This 1 bedroom, 1 bath has a private lanai, AC in the living room with Hawaiian decor in this beautiful condo. The one bedroom is equipped with a brand-new king bed, and there is a queen pull out couch in the living room accommodating up to 4 people.